Ray Catena Land Rover Marlboro has a great selection of pre-owned vehicles. 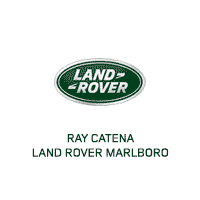 We thank you for navigating your way to the Ray Catena Land Rover Marlboro website. Now, it’s time to navigate the roads of Marlboro, Freehold, and Englishtown in a Land Rover vehicle. We’re confident you’ll be able to find a car you love at a price you can afford here at our dealership. Whether you’re browsing the selection of brand new models or pre-owned SUVs, our finance team will work to find competitive loan or lease terms designed to fit into your lifestyle. Every meticulously designed Land Rover is meant to be prestigious. From the Discovery to the Range Rover to the Range Rover Sport, there are plenty of vehicles to select from which will meet your needs. While buying brand new will provide you with that new car smell, there are also numerous pre-owned cars on our lot worth seeing. Pre-owned vehicles from Land Rover and Jaguar can be found here. There are often pre-owned offers and specials to check out. So, if you don’t see what you’re looking for on our website, give us a call or pay us a visit, and we’ll see what we can do. Head out on your next adventure in a certified pre-owned Land Rover, equipped for every winding country road or city street. These cars undergo a 165-point inspection and safety check, and come with roadside assistance. Experience the luxury of a Land Rover CPO model here at our dealer. When you lay your eyes on a Land Rover, you’ll know that special feeling. If you’ve had that feeling after visiting our lot or looking at our inventory online, it’ll be time to talk about the financing process. Whether buying or leasing, our staff will help to craft a financial solution. No two customers are the same, and we’ll treat you accordingly. Apply for financing on our website by filling out the online application. Just a few quick keystrokes will put you in the driver’s seat. Why’s that? Filling out the application provides us with information prior to your initial dealership visit, and means less time spent here filling out paperwork. Our qualified service technicians are standing by, ready to work on your Land Rover. There comes a time in every car’s life where maintenance is needed. We’ll freshen things up during an oil change, rotate the tires, and replace the brake pads so you’re able to stop the vehicle in a safe manner. Each Land Rover can be protected by prepaid maintenance, and regular maintenance is key. Prepaid services can save you money, too, by paying up-front instead of paying as each service is needed. Explore prepaid plans prior to your first service trip, or during the time of purchase. See the entire Land Rover inventory today, here at Ray Catena Land Rover Marlboro. We’ve helped many drivers from Marlboro, Freehold, and Englishtown get behind the wheel of one of these fine cars, and we’re eagerly look forward to helping you, too.